Sarah Jane has a free haunted house cut out template to create this fun Halloween art project for kids. It would make a really cute Halloween card in miniature and you could use the template to make a great haunted house jack-o-lantern too. But of course, the kids will love decorating each of the windows with something fun for Halloween too. 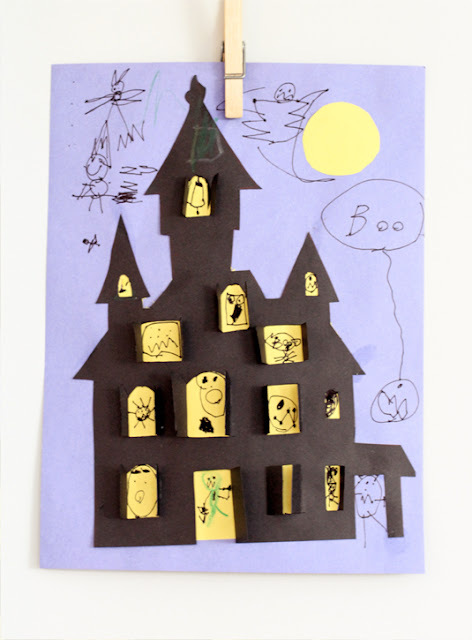 You can get the template for this fun haunted house cut out over at Sarah Jane Studios.